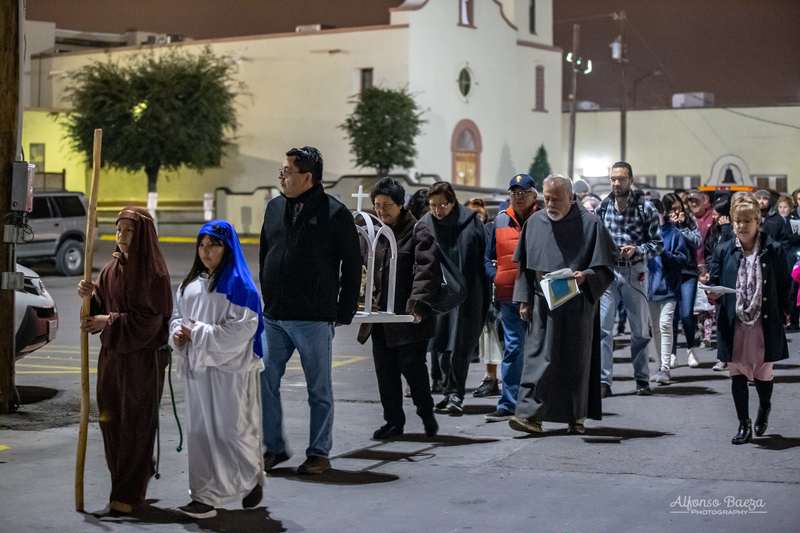 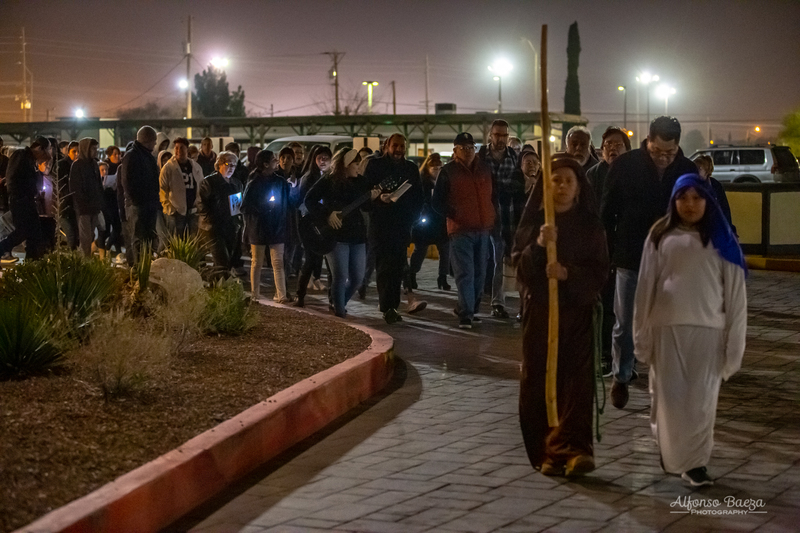 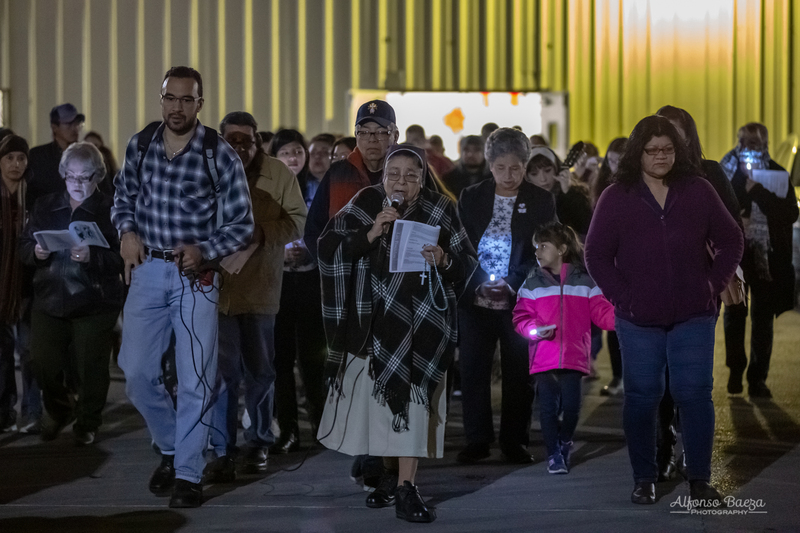 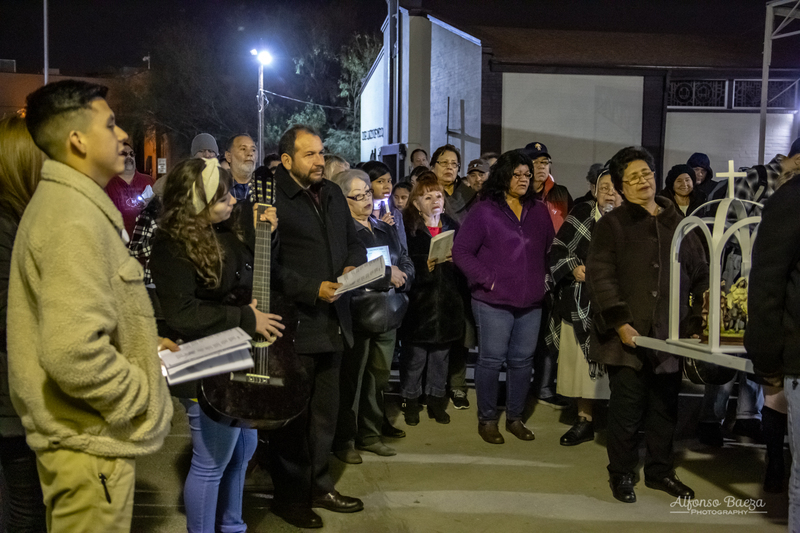 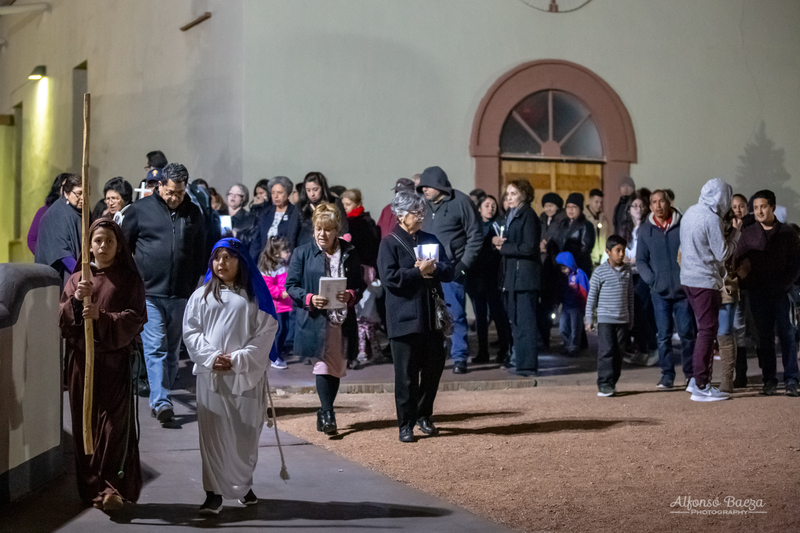 Participants walk through the church grounds for the novenario start of the Posadas on Sunday evening. 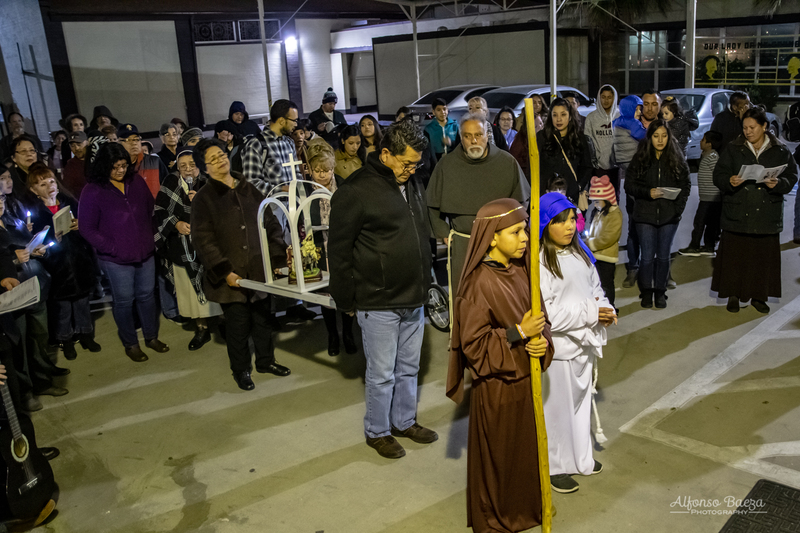 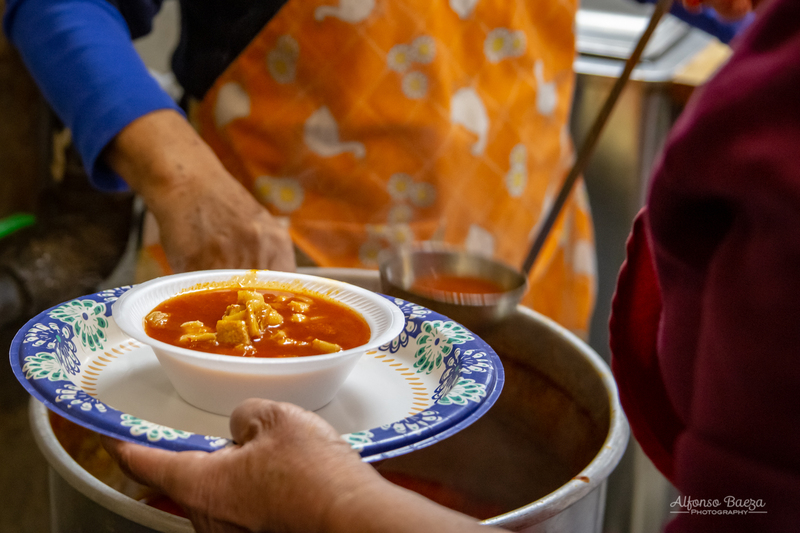 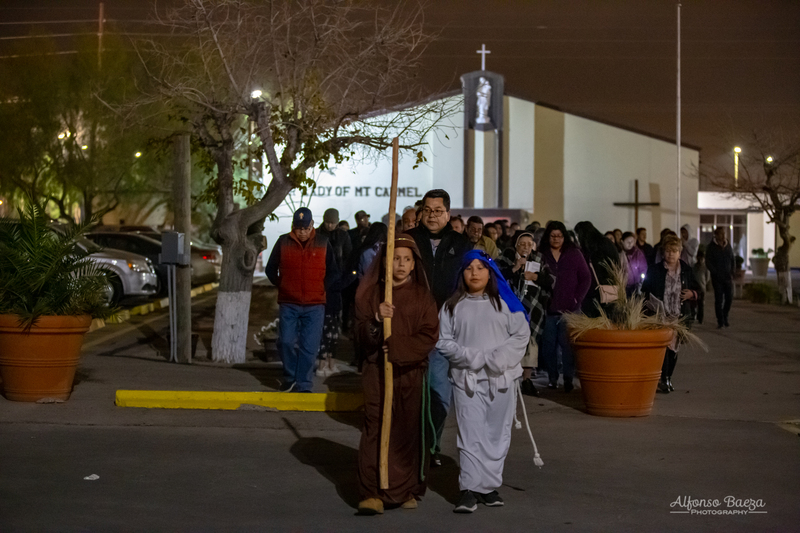 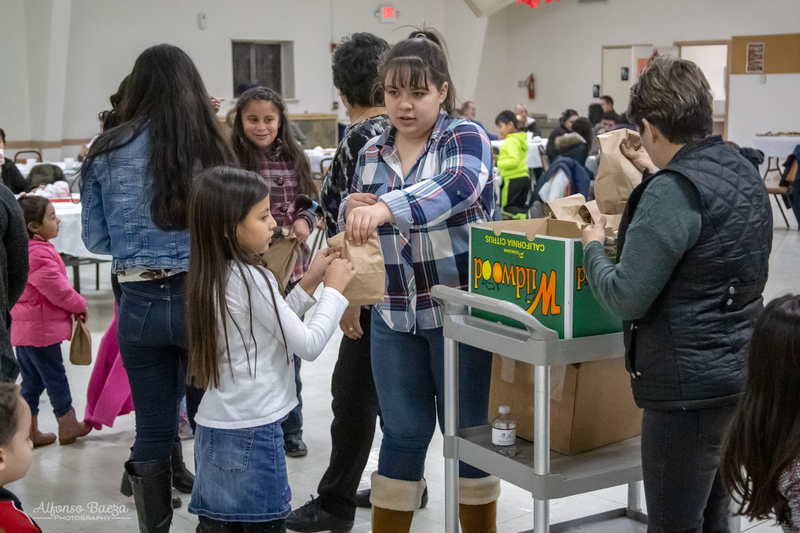 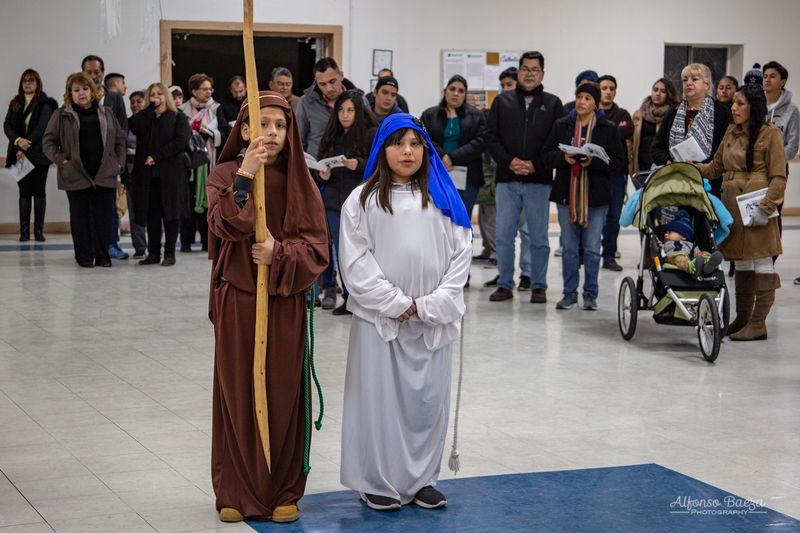 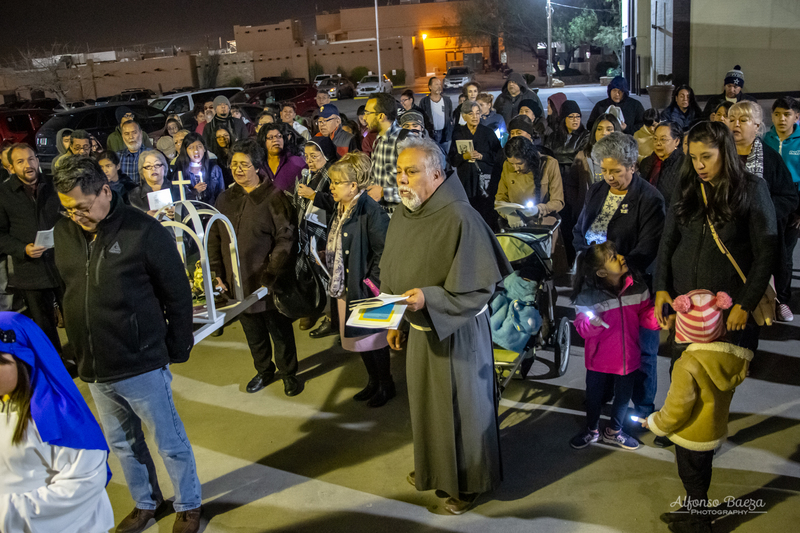 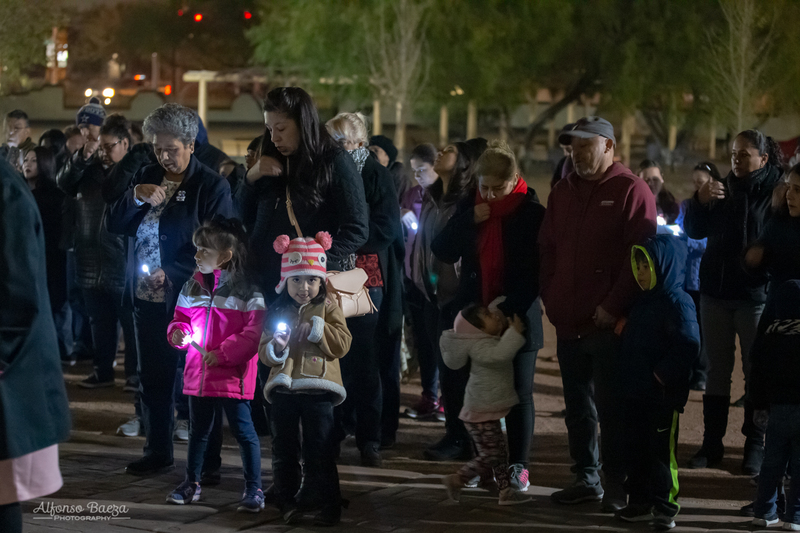 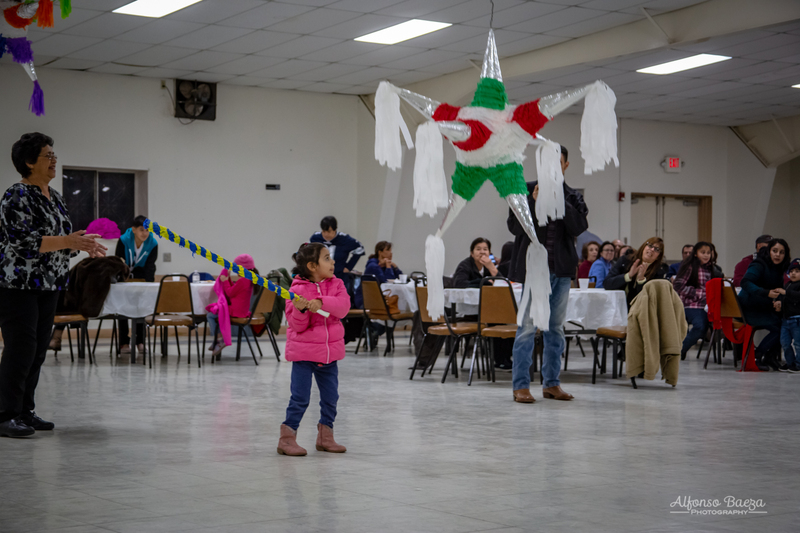 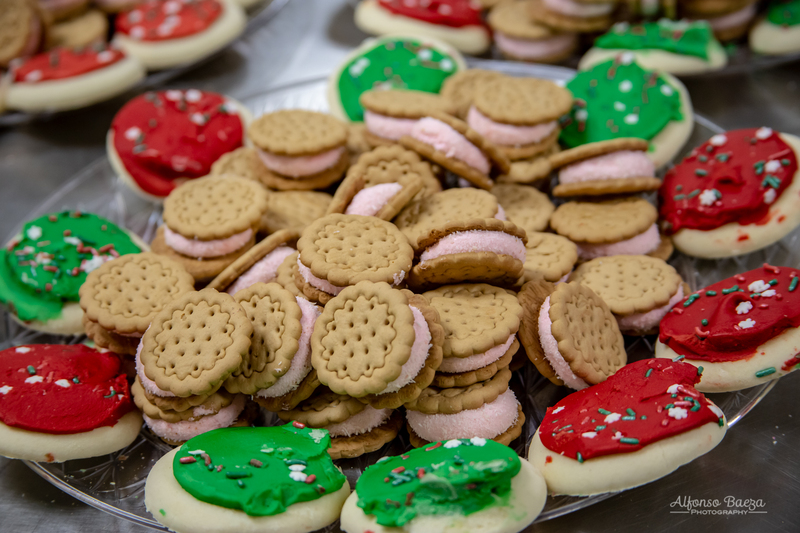 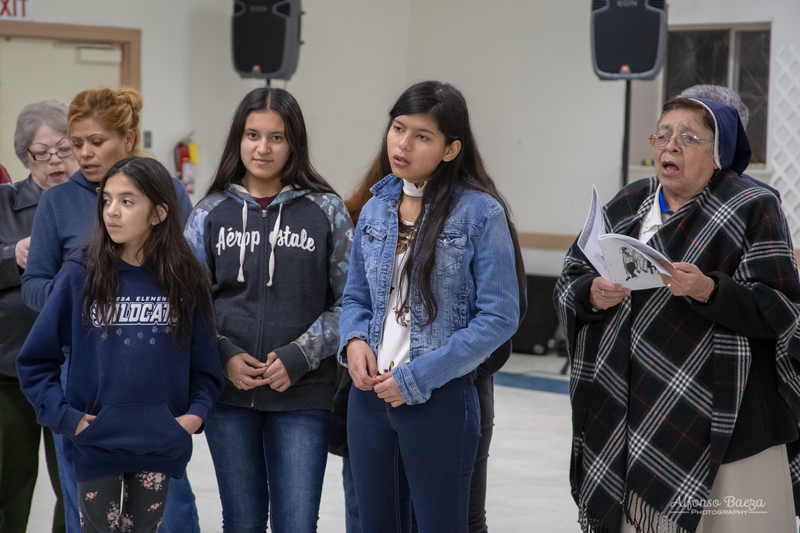 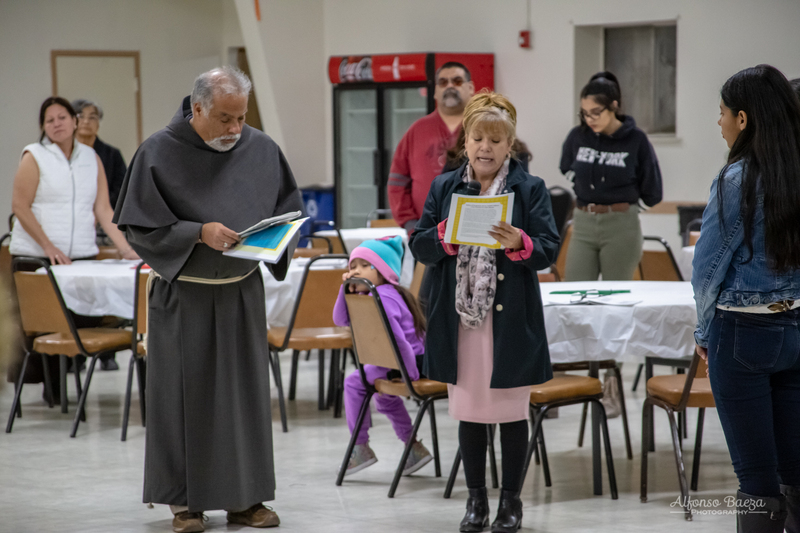 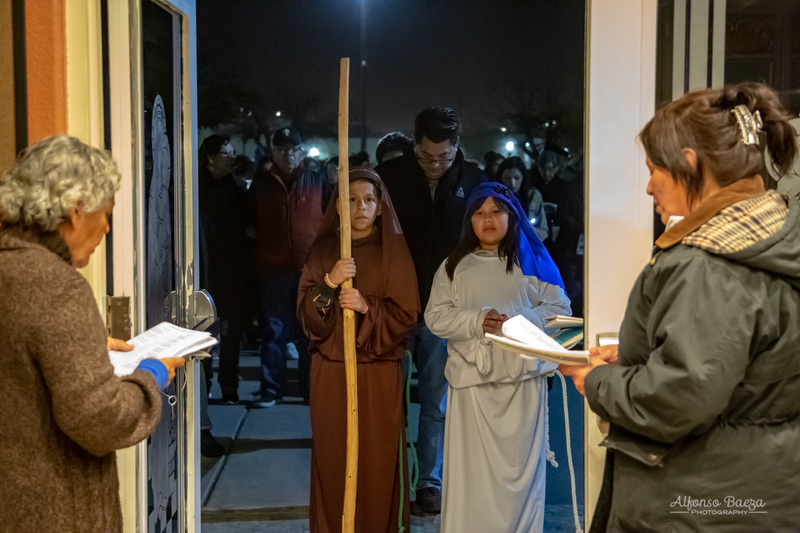 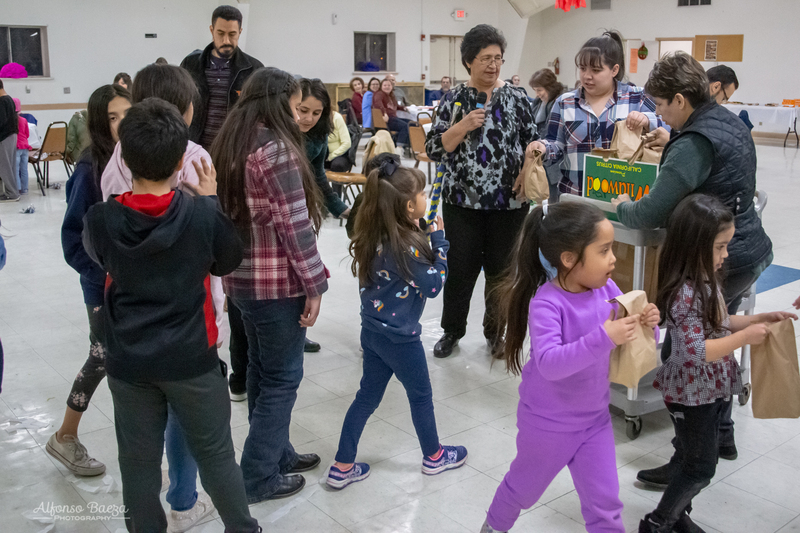 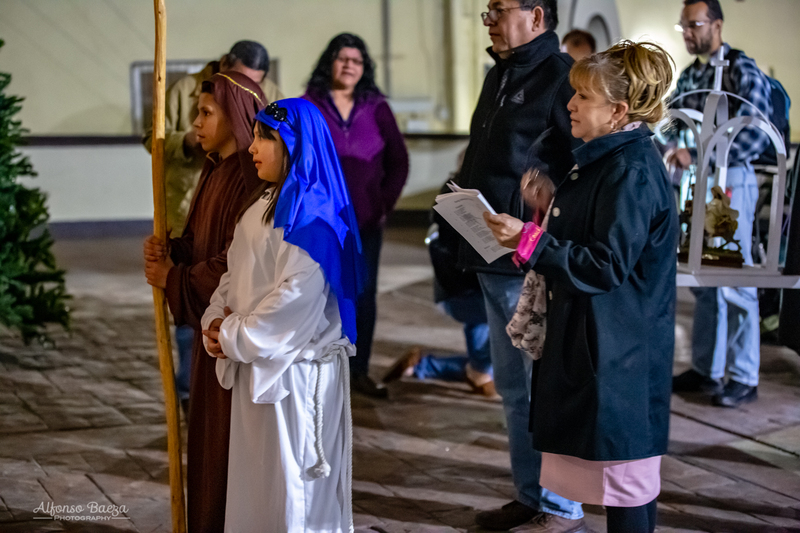 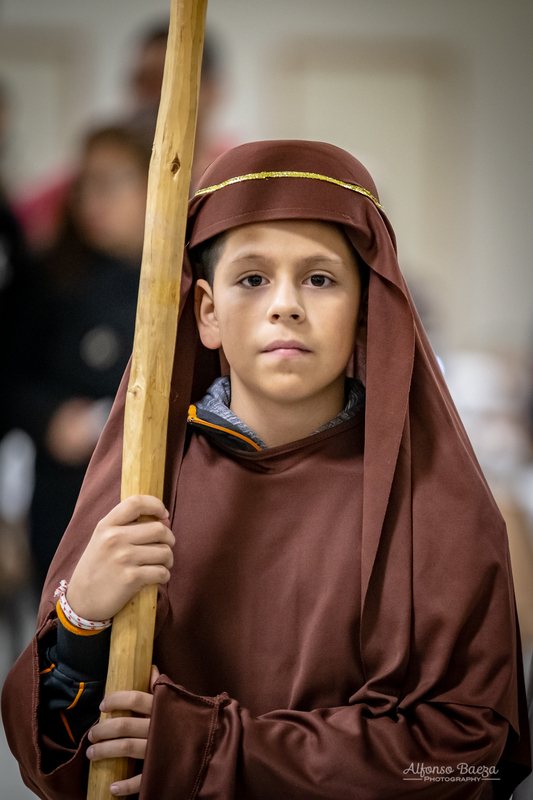 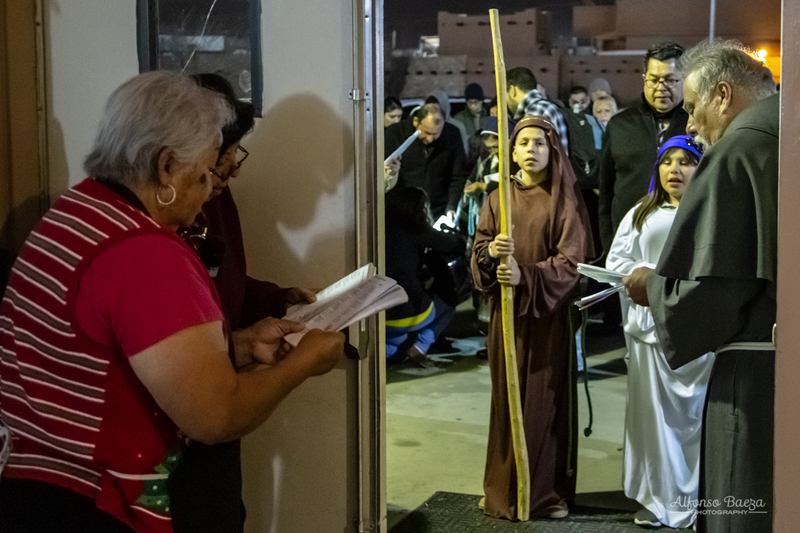 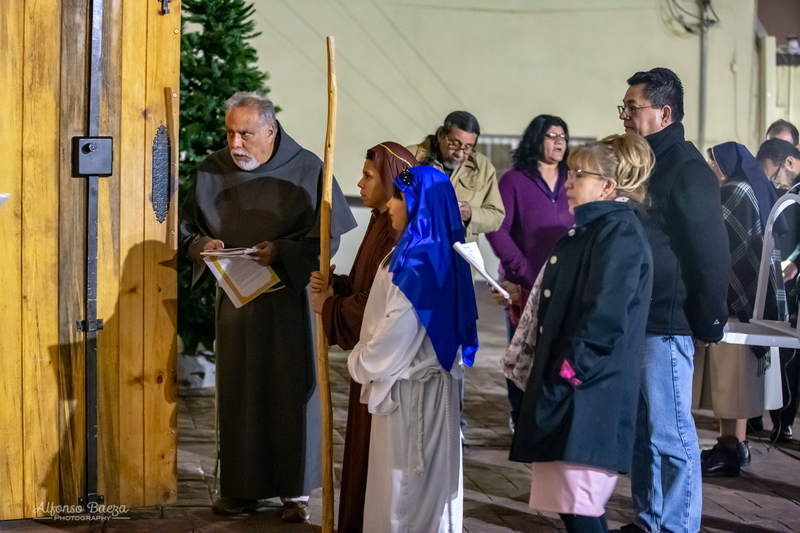 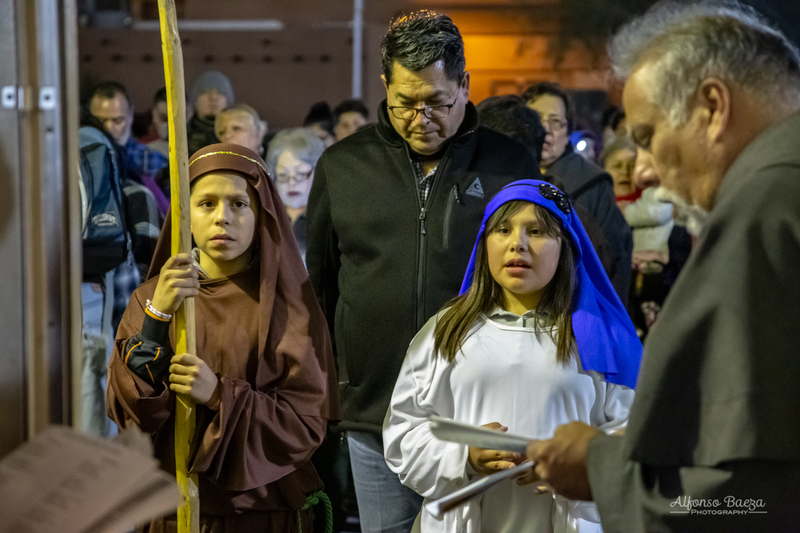 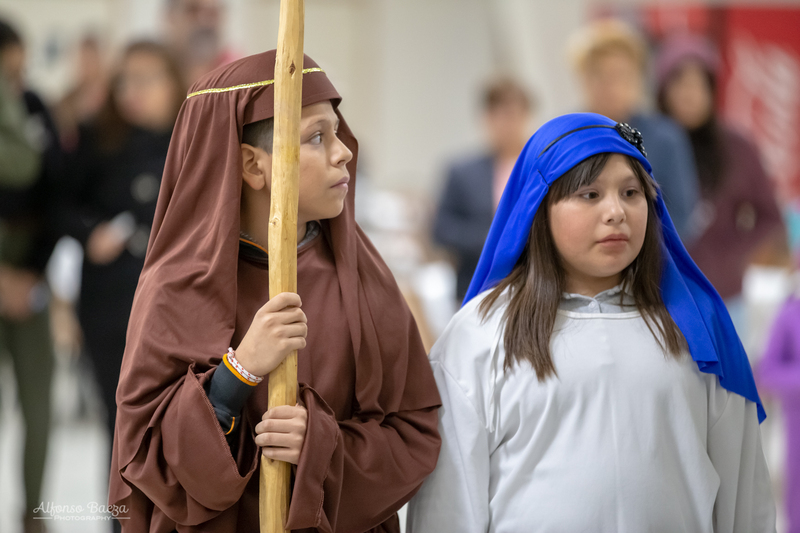 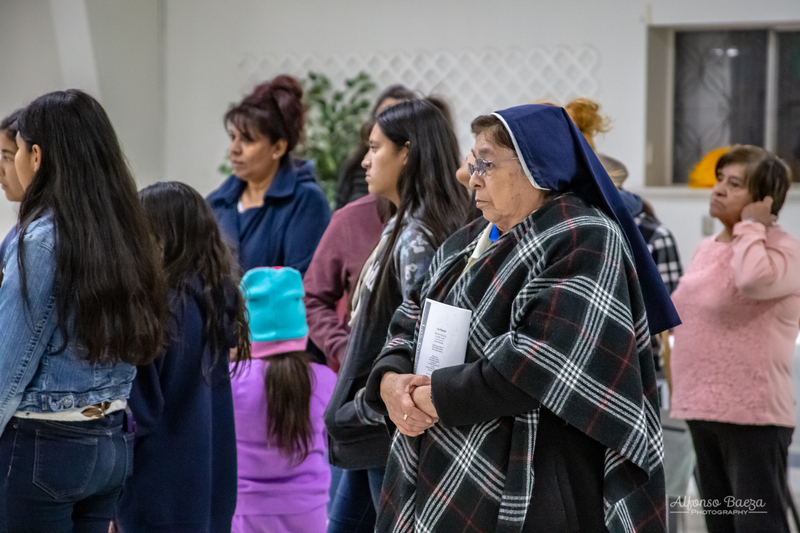 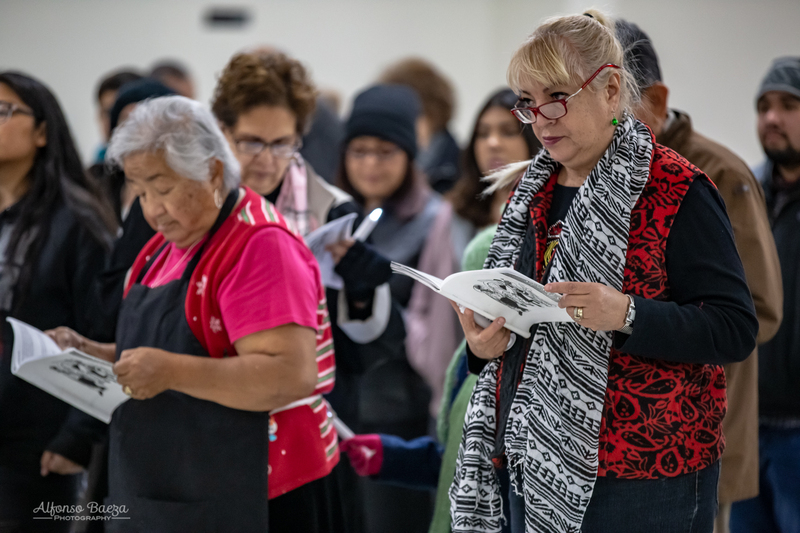 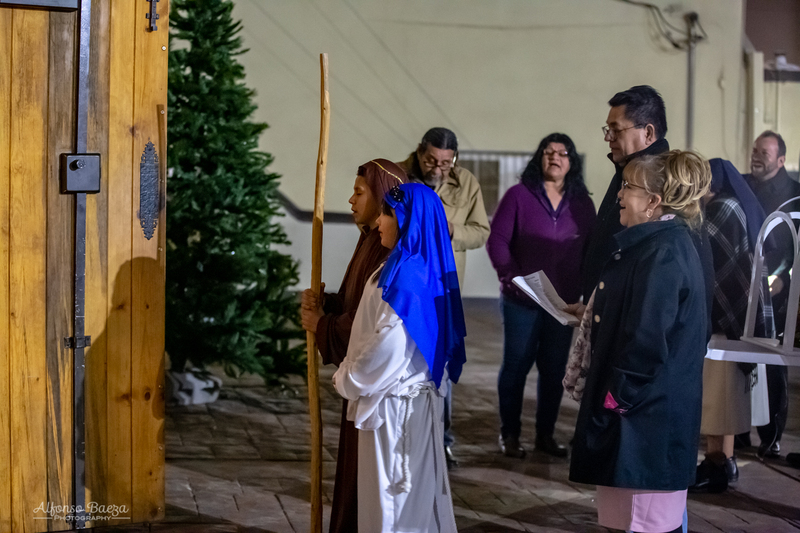 Las Posadas is a Christmas tradition celebrating the Nine Days of La Posada, or The Lodging, leading up to Christmas Eve. 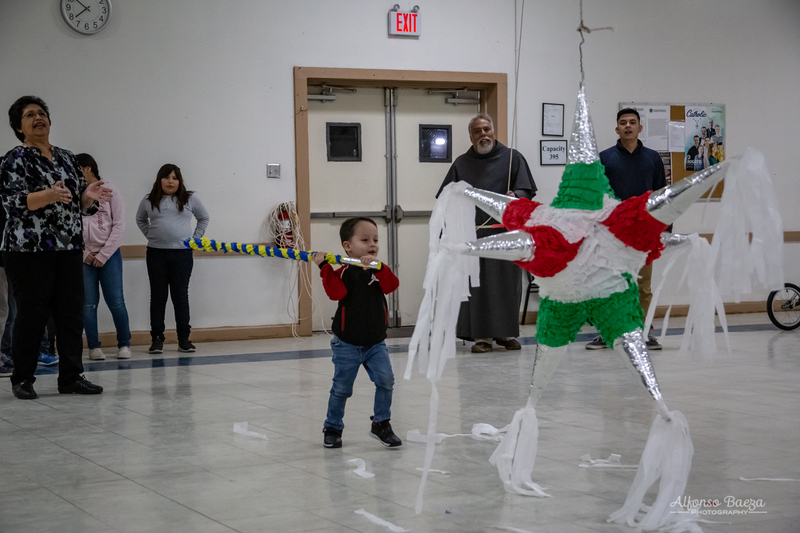 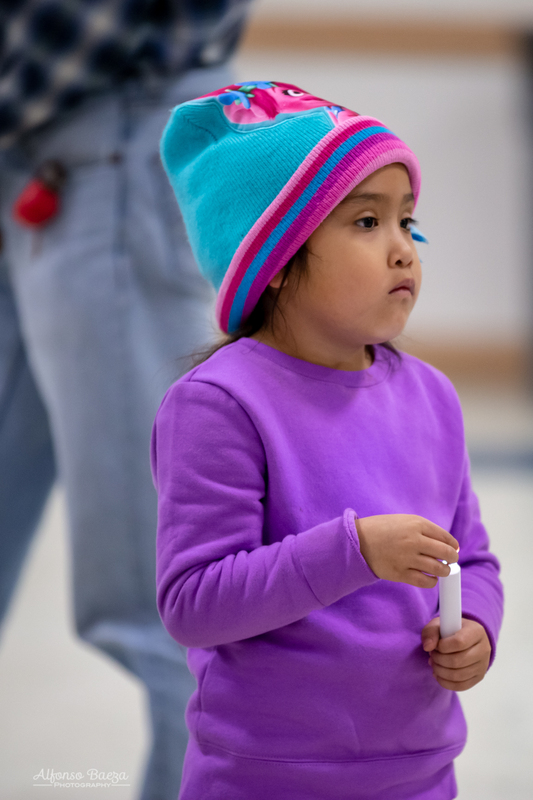 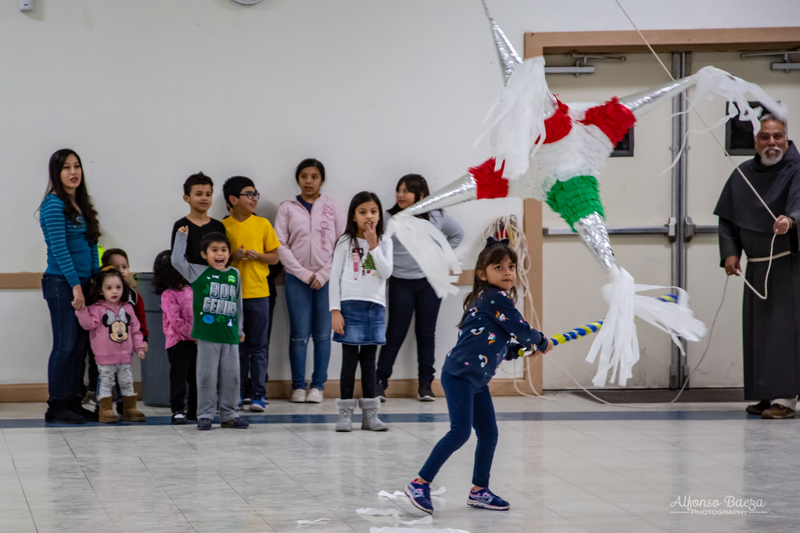 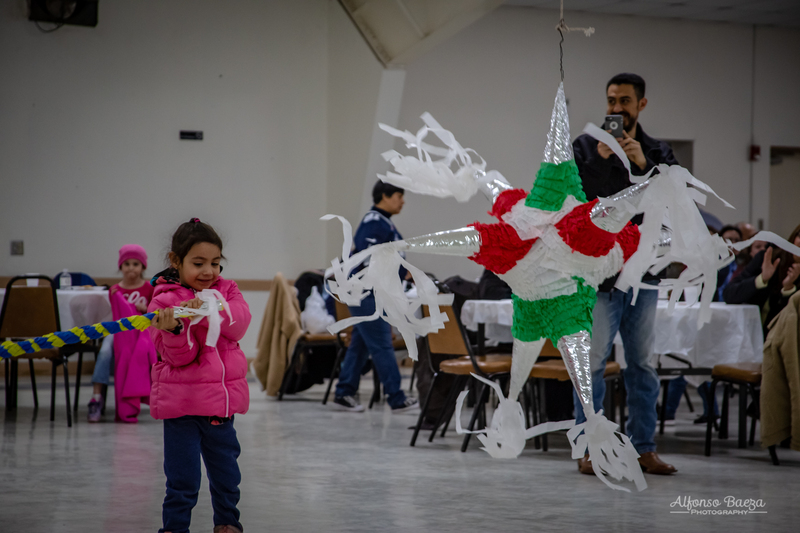 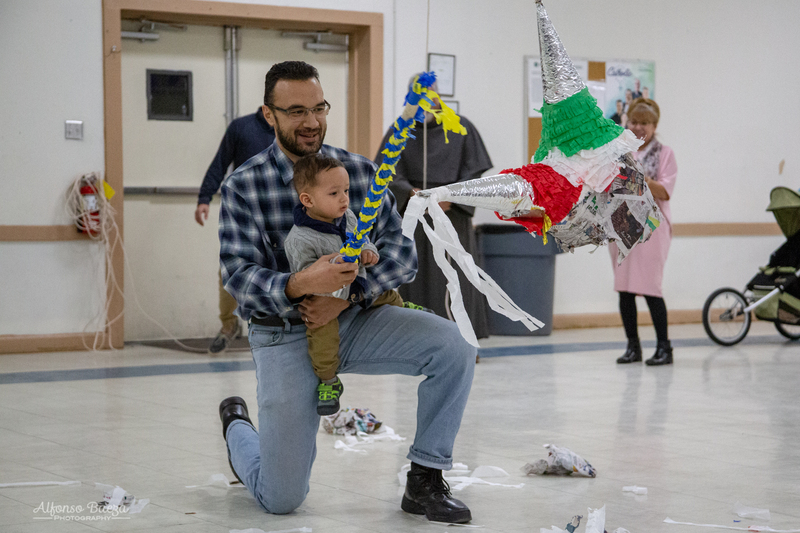 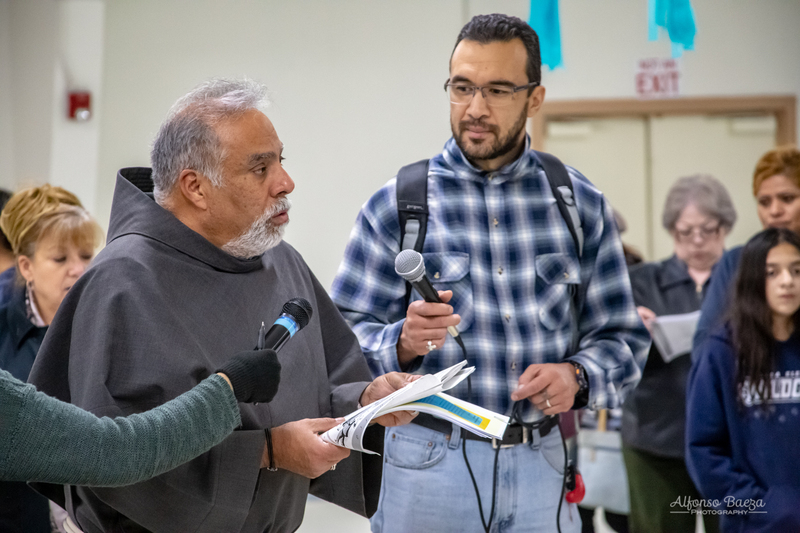 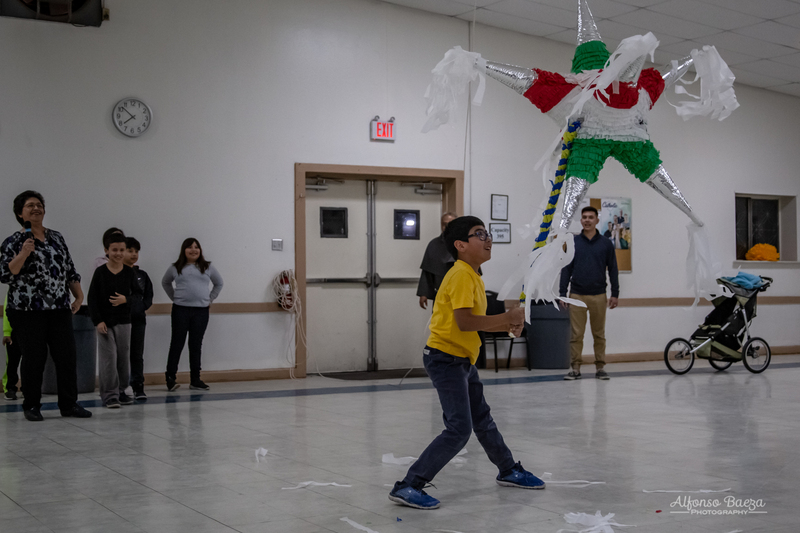 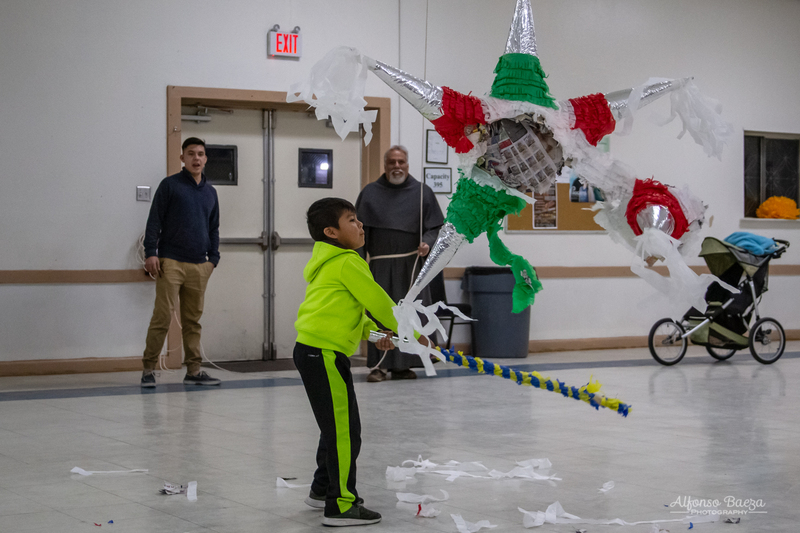 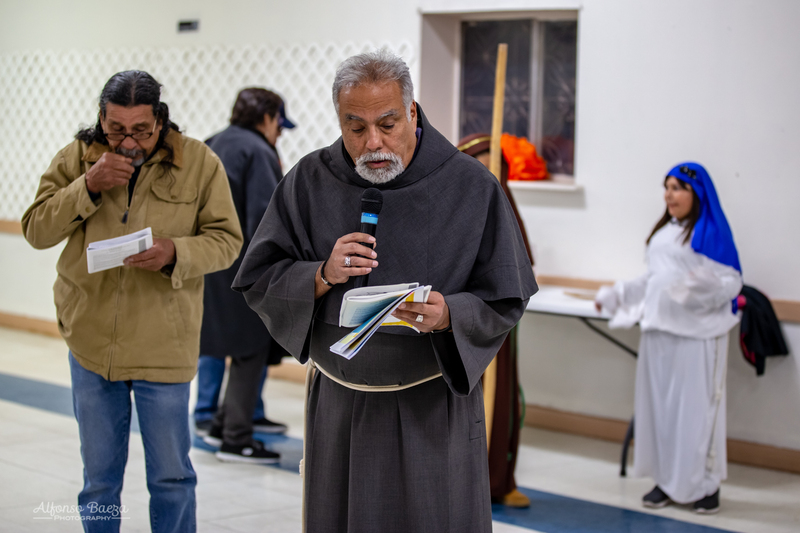 The evening was complete with prayer, music, food, and a piñata for the children. 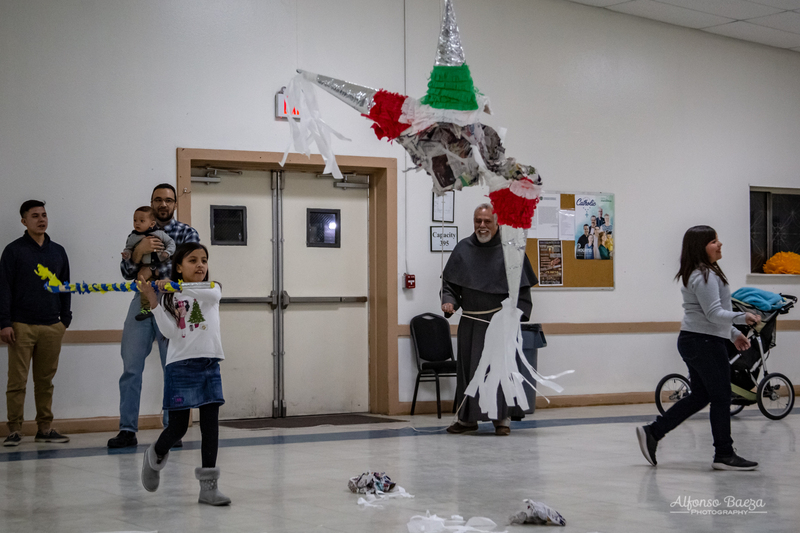 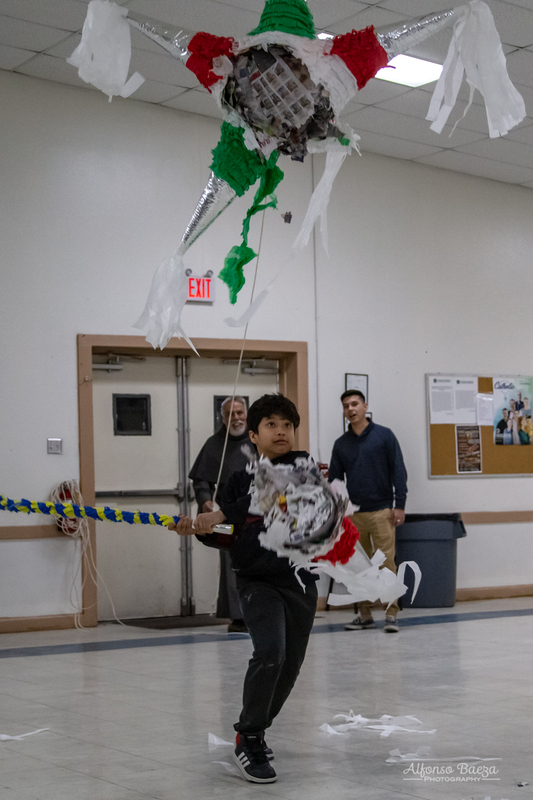 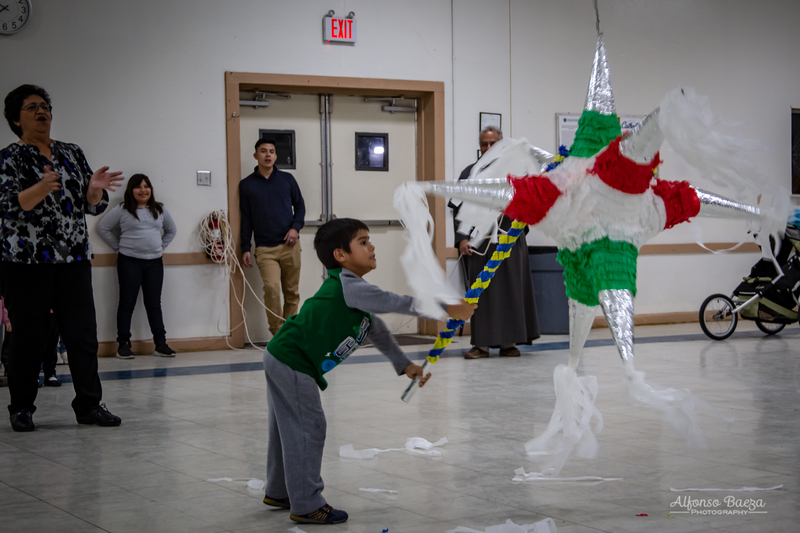 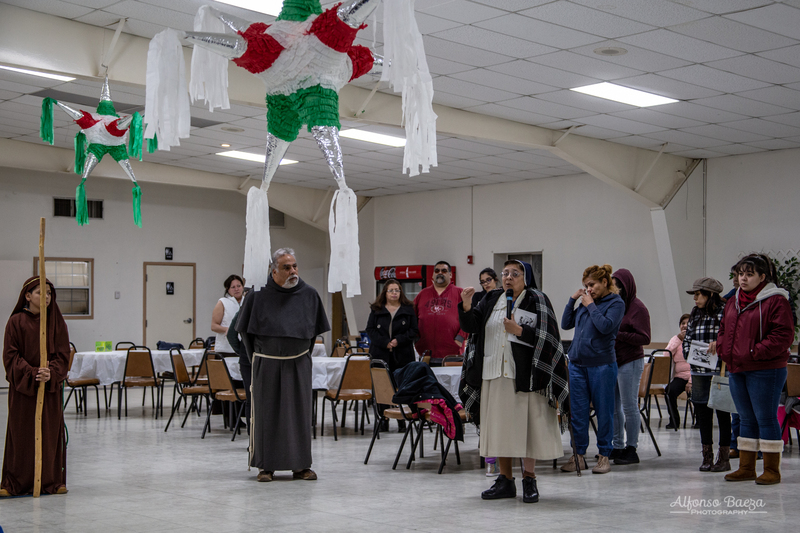 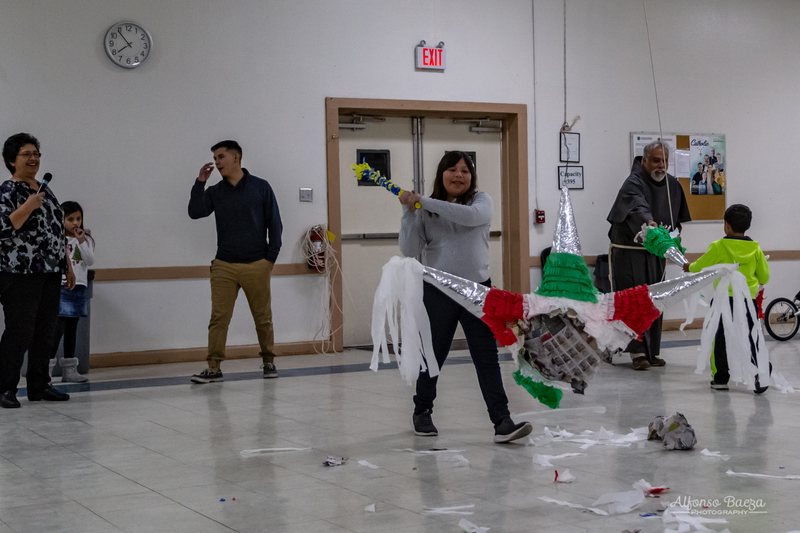 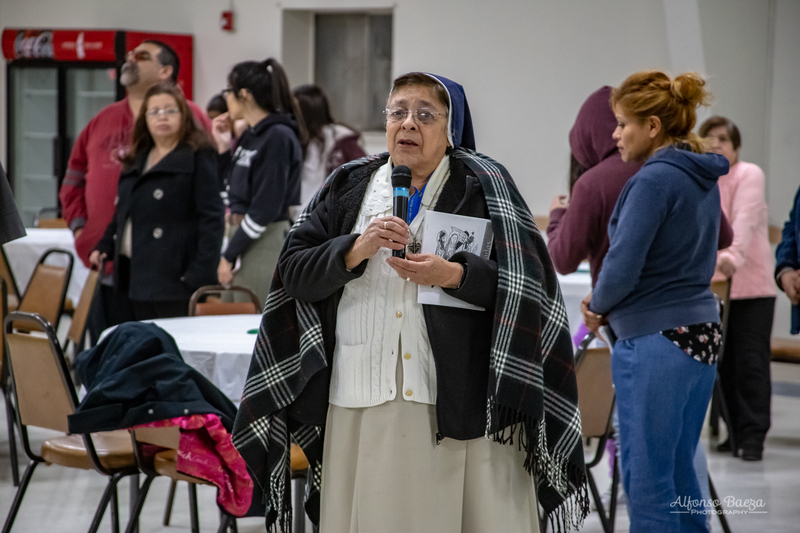 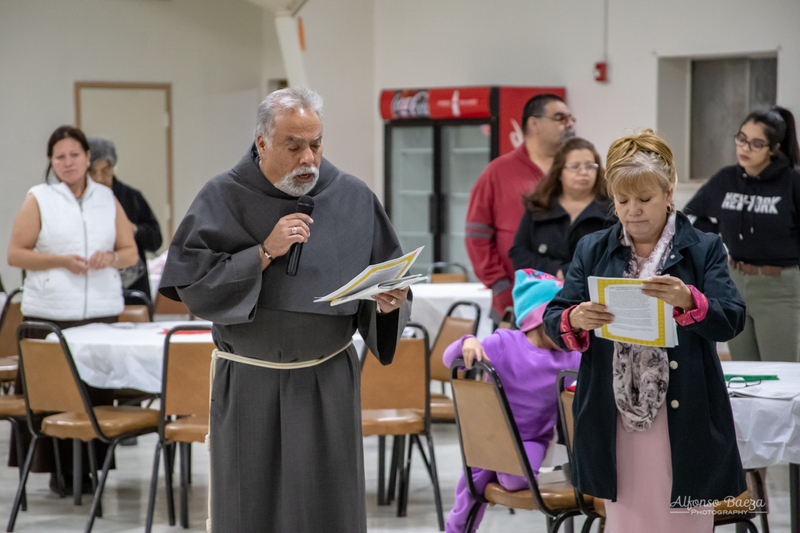 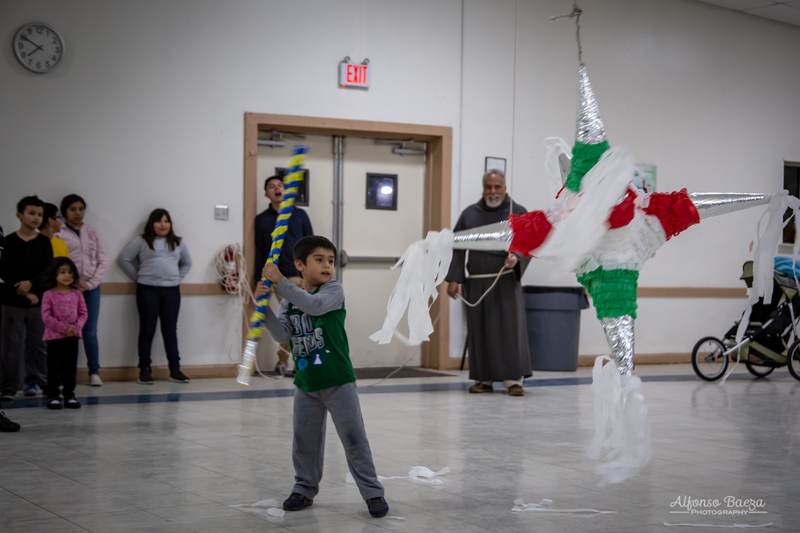 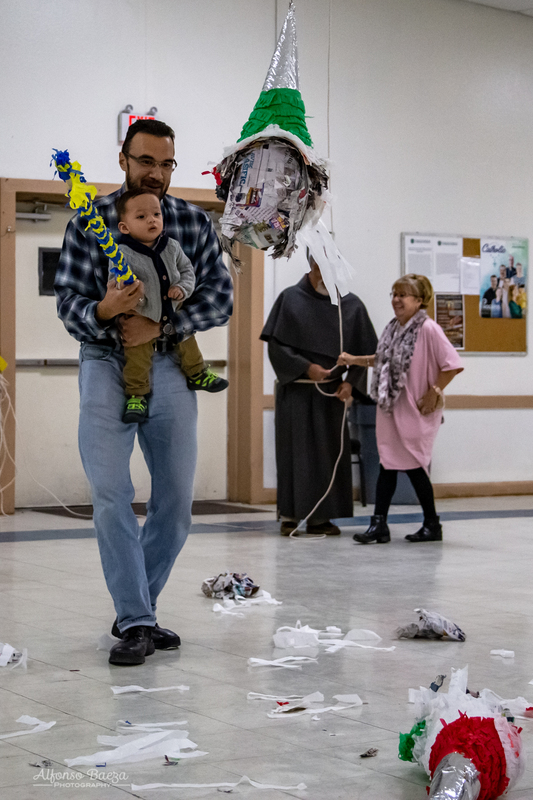 Sister Rebeca explained the seven points of the traditional piñata symbolizing the seven deadly sins.